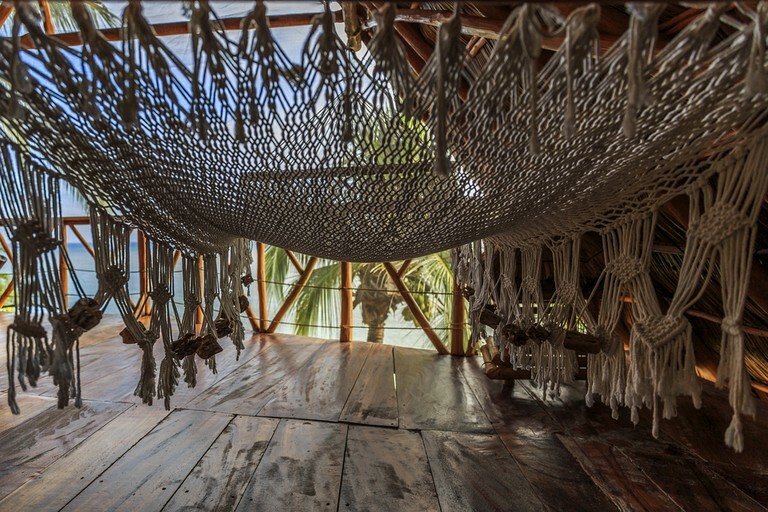 There are three units total for rent in this extravagant tree house in Mexico: Pericos Penthouse, Vista Romantica, and Cielo Tranquilo. They are described below. 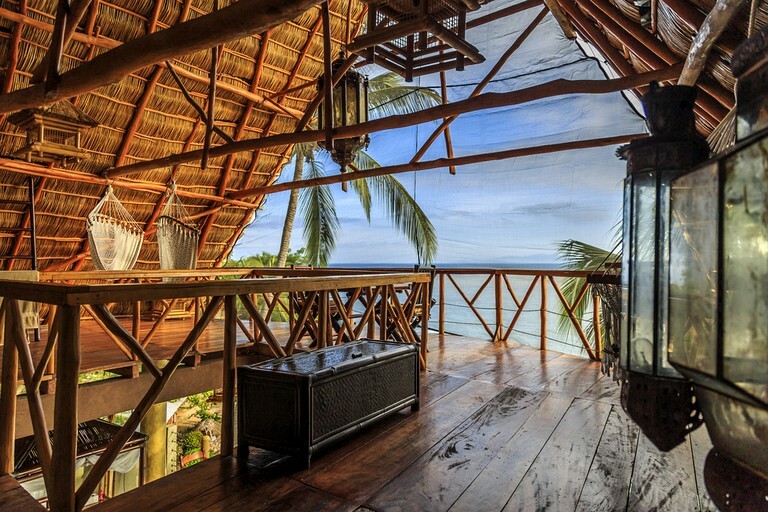 At the top of the tree house is Pericos Penthouse. It is perfect for glampers and their furry friend that want to have a birds-eye view of the ocean. It is 40 feet above the ground, and the rental is 22,200-square-feet large. Up to six glampers and their pet can enjoy this unit. It has two king-sized beds and one queen-sized bed, and around the unit is custom-made furniture. There is a kitchen, a living room, a dining room, a wardrobes, a private toilet, a sink, a shower, and a bathtub in this rental. In the middle of the tree house is Vista Romantica. 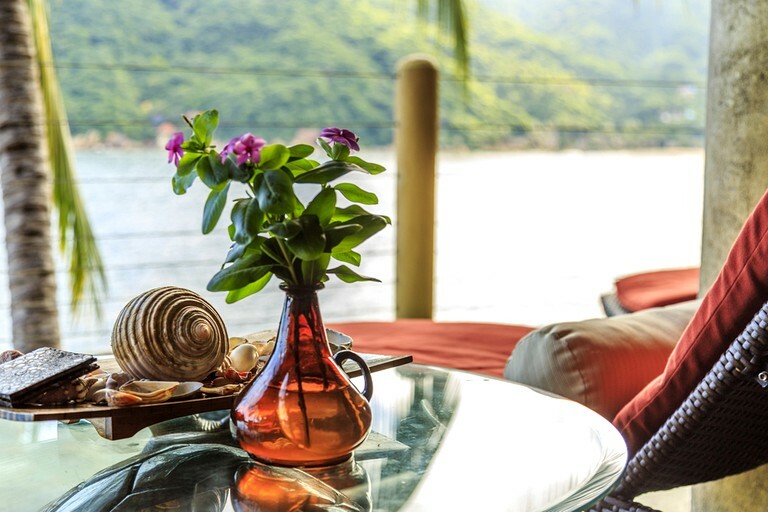 An amazing feature of this unit is the massive balcony that gives glampers and their four-legged friend amazing views of the beach, bay, and marine life. In total, up to four glampers can enjoy this units’ 1,000 square feet. There are two queen-sized beds, and it is fully furnished with hand-crafted furniture. There is an open shower in the huge master bedroom, and there are dining and living spaces and a kitchen. While at the site, glampers can enjoy the Wi-Fi and the self-service concierge book. Glampers can decide to book an amazing spa appointment during their stay or use the cleaning services that are available. There is an optional private chef on site, also. There is a maid service Monday through Friday. 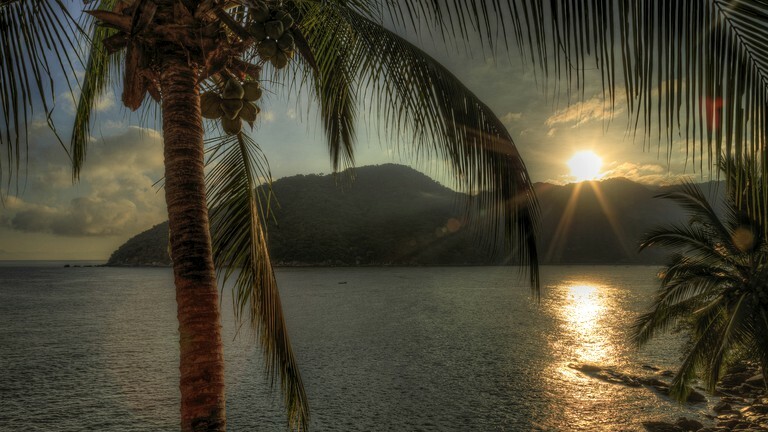 Nestled in the southernmost cove of the world's seventh largest bay, and surrounded by over 50,000 acres of the second most bio-diverse jungle and waters of the world, lies the peaceful village of Yelapa, Jalisco, Mexico. Although it is very secluded this site is just a five-minute stroll from the village restaurants and bars and 20 minutes from the main beach and closest waterfall. 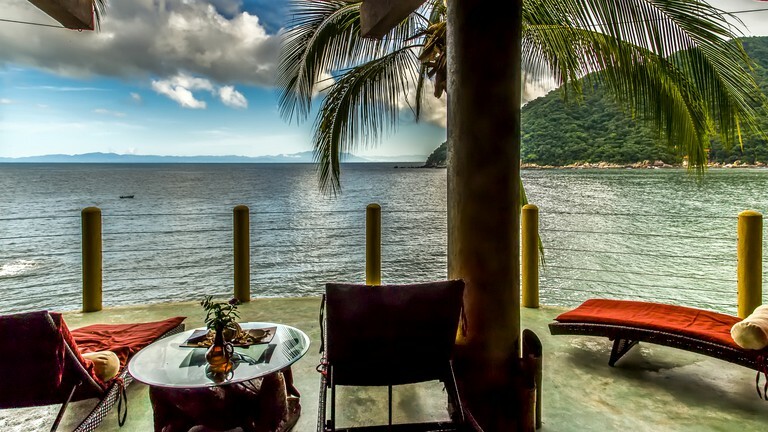 This private spot is right in the middle of the huge jungle and close to beautiful white sand beaches. 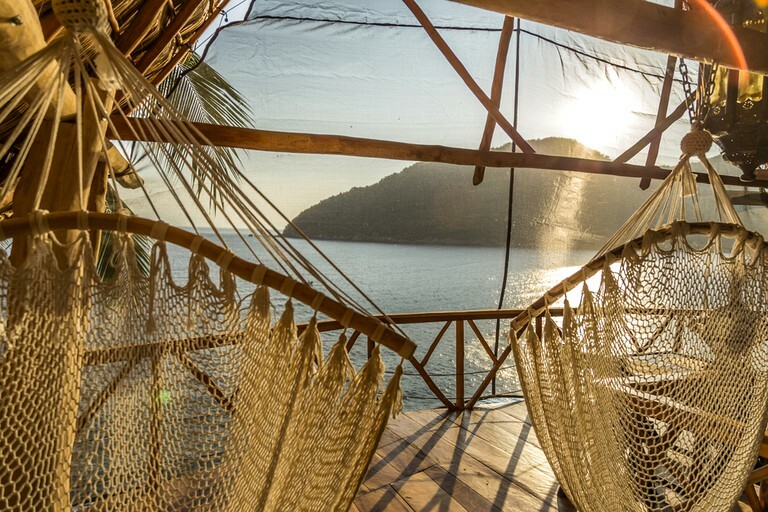 This glamping site is ideal for those looking to stay in Yelapa for a totally laid-back, tranquil vacation or honeymoon. 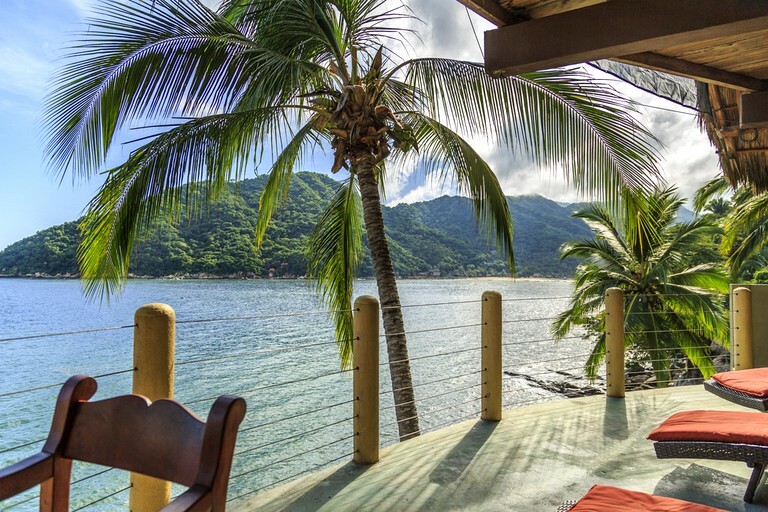 There is a small, quiet beach close to the property called Playita Isabel, and the main beach is covered in a blanket of golden sand, providing a superb place to swim, snorkel, or parasail. 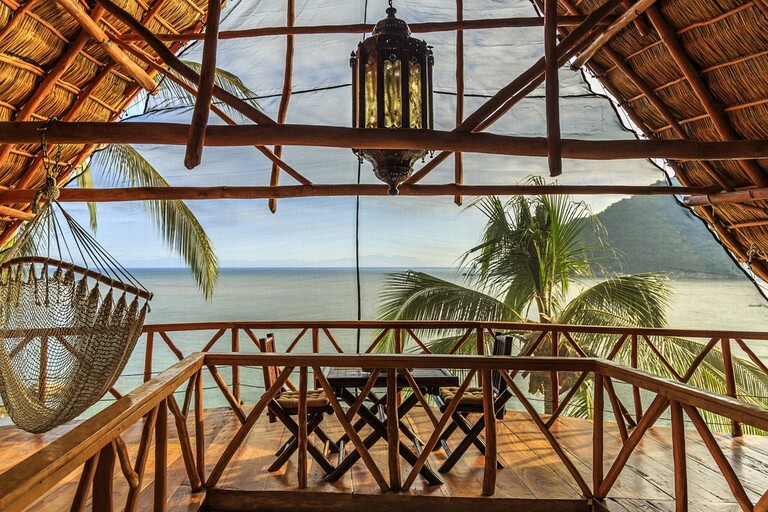 This site is excellent for any glamper that wants relaxation and adventure. Glampers and pets can go to the beach and run around in the sand, sunbathe, and swim. Snorkel gear is also provided for guests, although they should bring their own fins. The jungle nearby is perfect for exploration, and glampers and their furry friends can take hikes and nature walks while admiring the brilliant green of the surrounding trees. Back at the site, glampers can take the available yoga and Watsu classes for an additional fee. This glamping site is open throughout the year.